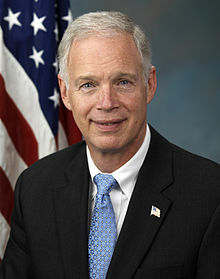 Senator Ron Johnson will be at Super Steel on Friday, October 3rd to help kick-off Super Steel’s third annual Manufacturing Day celebration. The celebration, which will include a presentation and tour, begins promptly at 10:00am and is open to the Milwaukee area and surrounding communities. Manufacturing Day is a growing grassroots movement of manufacturers dedicated to overcoming the shared challenges facing manufacturers today. This day provides manufacturers with an opportunity to connect directly with job seekers and students to begin to address the skilled labor shortage they face. Manufacturing Day events are meant for anyone who is curious about manufacturing and who would like to know more about what happens in modern-day manufacturing facilities. This is the third year Super Steel has hosted an event for Manufacturing Day. “We are very excited to open our doors to the community for an insider’s look at Super Steel,” said Heather Krugler, Corporate Communications Specialist at Super Steel. “Manufacturing Day activities help to create awareness about the value of the manufacturing industry to our community. It provides students a first-hand chance to learn about real career opportunities that are available and we’re hoping to inspire a new generation of manufacturers. The media, civic leaders, parents and educators are also invited to learn more about manufacturing. All attendees must pre-register at http://www.mfgday.com/events/2014/super-steel-2. Refreshments will be served.